Vinod Thourani, associate professor of cardiac surgery at Emory School of Medicine, along with Jorge Jimenez and Ajit Yoganathan, biomedical engineers at Georgia Tech and Emory, have been teaming up to invent new devices for making heart valve repair easier. At the Georgia Bio and Atlanta Clinical and Translational Science Institute’s second annual conference on academic/industry partnerships, Thourani described how he and his colleagues developed technology that is now being commercialized. 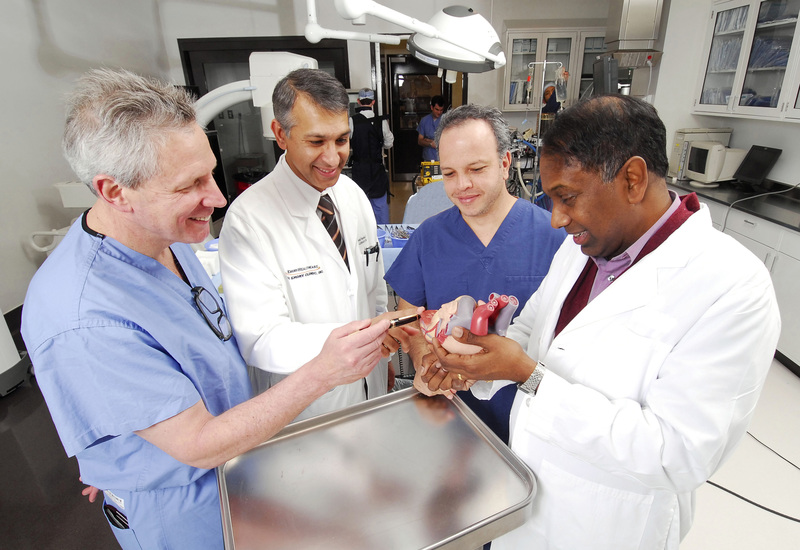 Apica Cardiovascular was founded based on technology invented by Jimenez, Thourani, Yoganathan and Thomas Vassiliades, a former Emory surgeon. Thourani is associate director of the Structural Heart Program at Emory. 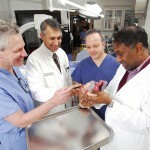 Yoganathan is director of the Cardiovascular Fluid Mechanics Laboratory at Georgia Tech and the Center for Innovative Cardiovascular Technologies. The technology simplifies and standardizes a technique for accessing the heart via the apex, the tip of the heart’s cone pointing down and to the left. This allows a surgeon to enter the heart, deliver devices such as heart valves or left ventricular assist devices, and get out again, all without loss of blood or sutures. Schematic of transapical aortic valve implantation. The prosthesis is implanted within the native annulus by balloon inflation. 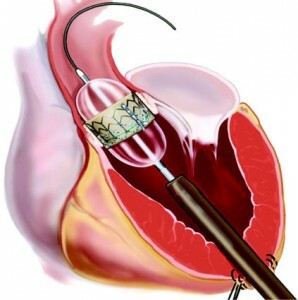 At the conference, Thourani recalled that the idea for the device came when he described a particularly difficult surgical case to Jimenez.Â Thourani said that a principal motivation for the device came for the need to prevent bleeding after the valve repair procedure is completed. With research and development support from the Coulter Foundation Translational Research Program and the Georgia Research Alliance VentureLab program, the company has already completed a series of pre-clinical studies to test the functionality of their device and its biocompatibility.